When Russell and I moved to El Paso, Texas for the first time we did not know anyone. We had been there a couple of weeks and were settling in, when I received an invitation to attend a monthly spouses’ coffee. At first, I admit, I did not want to go, but Russell said it would be a great opportunity to meet people so I decided to attend. He was right because I met some wonderful ladies who are now close friends, even after moving several times since then. For the very first Christmas spouses’ coffee I attended, the host baked these wonderful spice cookies that she served with pumpkin dip. 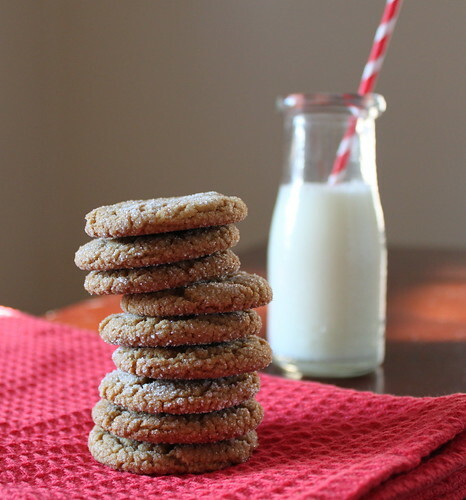 I could not get over just how soft and irresistible the cookies were, the spices were spot on and I had to have the recipe; thankfully she was willing to share how to make these amazing cookies. These cookies take me back to a wonderful time with friends and good food. 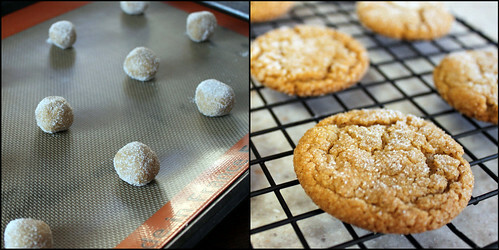 I hope you enjoy these soft and delicious spice cookies as much as I do! In a medium bowl, combine flour, baking soda, cinnamon, cloves, ginger, and salt. Set aside. In a large mixing bowl, cream together Crisco (shortening) and sugar. Add eggs, one at a time beating well after each addition. Add molasses, mix well. Gradually add flour mixture to the shortening mixture, mix well. Refrigerate dough for several hours or overnight (see recipe notes below). Shape dough into 1/2 inch balls and roll in additional sugar. Place 2 inches apart on parchment lined cookie sheets. Bake 6 minutes or until edges begin to brown. Cool for two minutes before removing to a wire rack. Enjoy! Recipe notes: I rolled the dough into 1/2 inch balls, placed them on a cookie sheet lined with parchment paper, and then placed them in the freezer. Once they were frozen I put them in a freezer safe ziploc bag. When I was ready to bake the cookies, I took out the amount I wanted to bake and rolled them in sugar. I baked them for 7 minutes instead of 6. This recipe makes a lot of cookies, but keep in mind they are a smaller than “normal” sized cookies. The recipe listed above makes approximately 10 dozen cookies but as I previously stated the dough can be frozen--allowing you to bake as many or as few cookies as you would like and have fresh baked cookies anytime! Source: Received recipe from a family friend, original source unknown.